Martin Freeman and Daisy Haggard will star in new comedy Breeders, a co-production from Sky and FX Productions. The 10-part series, which will be produced by Avalon Television, will expose the paradox of parenting that it is possible, in the same moment, to love your child to the horizon of the universe, while being apoplectically angry enough to want to send them there. 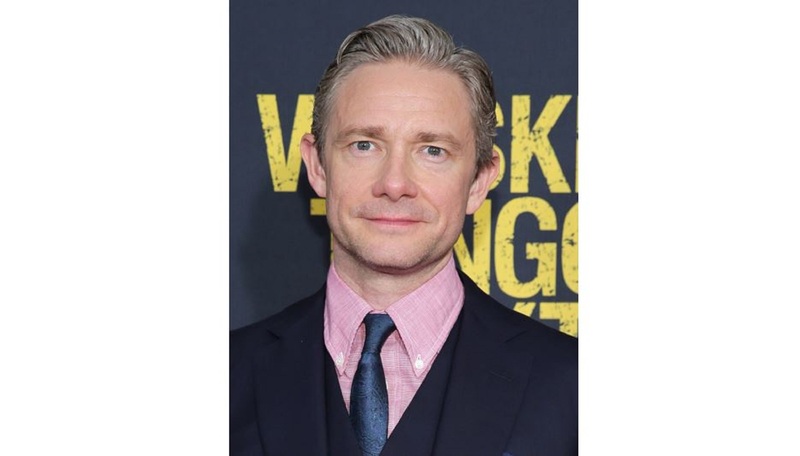 Martin Freeman stars as a caring father discovering he’s not quite the man he thought he was. Breeders has been created by Academy Award®-nominee and double Emmy® Award-winner Simon Blackwell (Veep, Back, Peep Show), double Emmy® Award and Directors Guild of America-winner Chris Addison (Veep, The Thick of It, The Hustle) and Emmy and Bafta®-winning Martin Freeman (Fargo, Sherlock, Black Panther, Captain America: Civil War, The Hobbit, Cargo, Ghost Stories), who will star alongside Daisy Haggard (Hang Ups, Episodes, Black Mirror). Executive producers include Blackwell, Addison, Freeman and Michael Wiggs. Executive producers from Avalon Television (Last Week Tonight With John Oliver, Catastrophe, The Russell Howard Hour) will be Richard Allen-Turner, Rob Aslett, Jon Thoday. The series was commissioned by Zai Bennett, director of programmes, and Jon Mountague, head of comedy, for Sky, with Josh Cole set to be the commissioning editor. Nick Grad and Eric Schrier, Presidents of Original Programming commissioned the series for FX Networks and FX Productions. “I am very excited about making Breeders, to the point of being told to go to bed and stop showing off,” said Simon Blackwell. Breeders will air on Sky One and streaming service NOW TV in 2020. With 23 million customers across seven countries, Sky is Europe’s leading media and entertainment company and is proud to be part of the Comcast group. We have 31,000 colleagues and together we want to connect our customers to more of what they love, including our award-winning original productions, like Patrick Melrose and Save Me, and great shows from our partners including HBO, Showtime and Warner Bros. And our ever improving technology makes it even easier for customers to watch more of the shows they love with personalised recommendations and voice control and, our online streaming service, NOW TV, brings all the enjoyment of Sky with the flexibility of a contract free service. We treat our customers better than anyone else in our field, as Ofcom’s complaints data shows, and we look after our staff too. Sky is one of The Times Top 50 employers for women and we’re in Stonewall’s list of Top 50 LGBT-Inclusive employers. We also use our position as the leading entertainment business in Europe to do the right thing. As part of Sky Ocean Rescue campaign we’re committing to be completely single-use plastic free by 2020, we’re investing £25million over five years in ocean-saving tech and we’re supporting the WWF to protect our oceans with designated Marine Protected Areas. FX is the flagship general entertainment basic cable channel of FX Networks, a business unit of 21st Century Fox. Launched in June of 1994, FX is carried in 89 million homes. The diverse schedule features a growing roster of critically-acclaimed and award-winning hit dramas series including Taboo, Legion, Snowfall, Trust, Pose, Mayans M.C. and Mr Inbetween; the critically-acclaimed limited series American Horror Story, Fargo, American Crime Story, FEUD and the upcoming Devs, Untitled Fosse/Verdon series, and Shōgun; acclaimed hit comedy series including Atlanta, Baskets and Better Things, and the upcoming What We Do in the Shadows; and the upcoming docuseries The Weekly with The New York Times. FX is the former home of the critically-acclaimed and award-winning hit drama series The Shield, Nip/Tuck, Rescue Me, Damages, Sons of Anarchy, Justified and The Americans. The network’s library of acquired box-office hit movies is unmatched by any ad-supported television network. Avalon is a multi-award-winning talent management, live promotion and television production group with offices in the UK and the USA. Avalon and ARG, the talent management arm, has discovered and represents many artists that are household names, both in the UK, the USA, and around the world. Avalon has produced numerous ground-breaking television shows including: multi-Emmy and Peabody award winner Last Week Tonight with John Oliver (HBO), multi-award winning and Emmy-nominated Catastrophe (Channel 4/Amazon Prime), RTS and Rose d’Or winning Not Going Out (the BBC’s longest running sitcom currently on air), Broadcast Award winning and BAFTA and RTS-nominated Taskmaster (UKTV/Comedy Central USA), and Workaholics (Comedy Central USA). Other shows recently in production include: Wyatt Cenac’s Problem Areas (HBO); The Russell Howard Hour (Sky One), Stand Up Central with Rob Delaney (Comedy Central UK) and Russell Howard & Mum: Road Trip (Comedy Central UK); whilst the catalogue is sold worldwide by Avalon Distribution. For Avalon news visit: www.avalon-entertainment.com or @avalonent.